This year ending seems to be an opening to Taiwanese company. Making it great and special Asus has launched a new 18:9 tall display smartphone, Zenfone Max Plus (M1). This is the second device from the Taiwanese company to feature the new aspect ratio. Asus had launched the Pegasus 4S in China before this. The new Smartphone was spotted in a short list in Russia but is expected to reach other market soon. Asus is facing stiff competition in the budget segment from the likes of Xiaomi and Motorola which could be the reason why the company is focusing on the mid-range segment by offering features like dual-camera and 18:9 displays. For the primary camera, Asus has given a dual-lens setup with the device. One of the lenses is a 16-megapixel sensor and the other one with 8-megapixel resolution. One of the modules has an f/2.0 aperture lens as well as a 120-degree wide-angle lens. The front camera holds an 8 Megapixel unit with f/2.0 aperture. As it is the case with most Asus phones, this device will be loaded with software features in the camera interface. 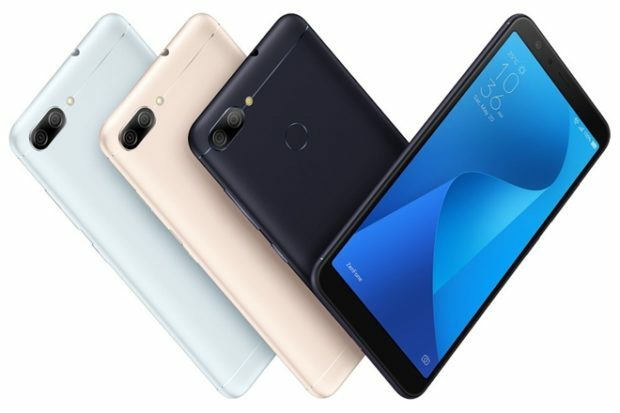 Looking at its specifications, Asus ZenFone Max Plus (M1) features will include 5.7-inch FHD+ (2160 x 1080) IPS display and an aspect ratio of 18:9. Powered by a Mediatek MT6750T processor coupled with either 2GB RAM or 3GB RAM and either 16GB or 32GB expandable storage options. The device is backed by a 4130mAh battery, and has a fingerprint scanner on the back. The ZenFone Max Plus (M1) runs ZenUI 4.0, which is based on Android 7.1 Nougat. The mid-end device features a dual-rear setup, consisting of a 16MP primary lens, and an 8MP secondary sensor, along with LED flash. The company says that the cameras can be switched during a shot, and are also capable of shooting photos while recording a video. There is also an 8MP front-facing shooter. The front camera also supports facial recognition feature for added security. Connectivity options on the device include Bluetooth 4.0, GPS with A-GPS, Wi-Fi, and dual-SIM. ← Google Pixel 2, Best Camera Smartphone.